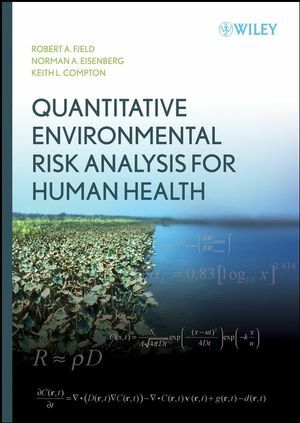 Environmental risk analysis is complex and interdisciplinary; this book explains the fundamental concepts and analytical methods in each essential discipline. With an emphasis on concepts and applications of quantitative tools plus coverage of analysis of both chemical and radioactive contaminants, this is a comprehensive resource. This reference also relates risk analysis to current environmental laws and regulations. An ideal textbook for graduate students and upper-level undergraduates in various engineering and quantitative science disciplines, especially civil and environmental engineering, it is also a great reference for practitioners in industry, environmental consulting firms, and regulatory agencies. ROBERT A. FJELD, PhD, is the Dempsey Professor of Waste Management, Department of Environmental Engineering and Science, at Clemson University. He was among the first to develop curriculum covering quantitative human health risk assessment for both chemical and radiological contaminants. NORMAN A. EISENBERG, PhD, has over thirty years of experience in environmental risk analysis, including work on environmental analysis within the federal government (U.S. Nuclear Regulatory Commission and Department of Energy) and as a consultant, and teaching graduate environmental courses at the University of Maryland. KEITH L. COMPTON, PhD, is a systems performance analyst in the Division of Waste Management at the U.S. Nuclear Regulatory Commission. 1.3 Contaminants in the Environment. 1.4 Uses of Environmental Risk Assessment. 2 Fundamental Aspects of Environmental Modeling. 2.3 Physical and Mathematical Basis for Risk Assessment Models. 4.2 One-Dimensional Solutions of the Contaminant Transport Equation. 5.2 Types of Surface Water Bodies. 6.3 Saturated Flow in Porous Media. 6.5 Subsurface Contaminant Transport Modeling. 6.6 Other Considerations in Groundwater Transport. 10.2 Fundamentals of Anatomy and Physiology. 10.3 Mechanisms and Effects of Toxicity. 11 Dose–Response and Risk Characterization. 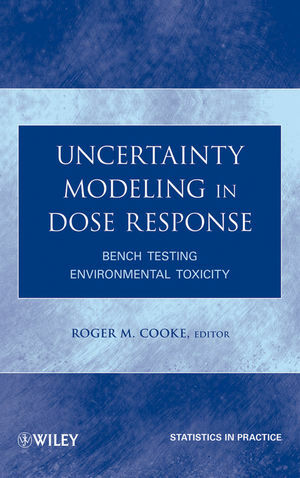 11.2 Biological Basis of Dose–Response Modeling. 11.3 Elements of Quantitative Dose–Response Analysis. 12 Uncertainty and Sensitivity Analyses. 12.2 Types and Sources of Uncertainty. 13 Stakeholder Involvement and Risk Communication. 15 Environmental Laws and Regulations. 15.2 General Legal and Regulatory Structure for Environmental Protection. 15.3 Major Federal Environmental Laws and Regulations. Appendix B Degradation and Decay Parameters.